BSM Media supported Chick-fil-A in promoting a new product included in Kid’s Meals. Chick-fil-A teamed up with EQtainment’s Founder, Sofia Dickens, to promote the Q Wunder app, and EQtainment games available in Chick-fil-A Kid’s Meals. Chick-fil-A Moms were invited to an exclusive virtual event via Facebook Live with Sofia. Mom learned about her journey, the brand, tips for healthy mental and emotional living and her advice for entrepreneurs. The Moms also had the opportunity to submit their own questions for Sofia to be asked by our host from BSM Media, Maria Bailey. 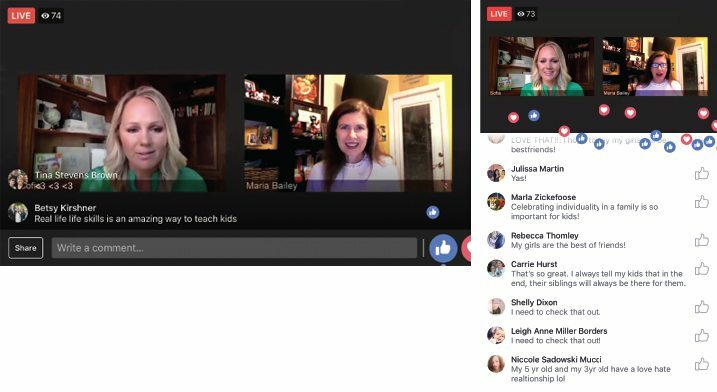 Chick-fil-A Moms actively participated in the chat session during the live broadcast. As a surprise, all Chick-fil-A Moms received a special EQtainment gift of three months free on the Q Wunder App following the Facebook Live event. A special landing page was created for Chick-fil-A Mom Panel members to register for their subscription. Both Moms and Kids were grateful for the gift offered by Sofia and her team and loved the exclusive opportunity to listen to Sofia through this BSM Media virtual event.